Now that writer-director Quentin Tarantino's almost ill-fated eighth feature film has finally seen theatrical release, viewers of The Hateful Eight can finally make their own appraisals of the inherent worth of the celebrated contemporary filmmaker's latest take on the Western film genre. Those in the known may well remember that the film in question was initially on the verge of cancellation, with Tarantino threatening to file a criminal lawsuit, when the original script was leaked online via Gawker in January 2014. But, as luck would have it, the renowned auteur subsequently held a stage reading of the with the entire cast on hand at the Ace Hotel in downtown Los Angeles, and the whole production was put back on track. Having seen the finished production, many fans who were not present for the initial stage reading, or didn't get their hands on a leaked copy of the first draft, might be wondering what changes might have been made between the two versions of the same film narrative. Luckily enough, one audience member who attended both events has an answer to said question for those eager to know what was left on the proverbial cutting room floor in the making of Tarantino's latest opus. 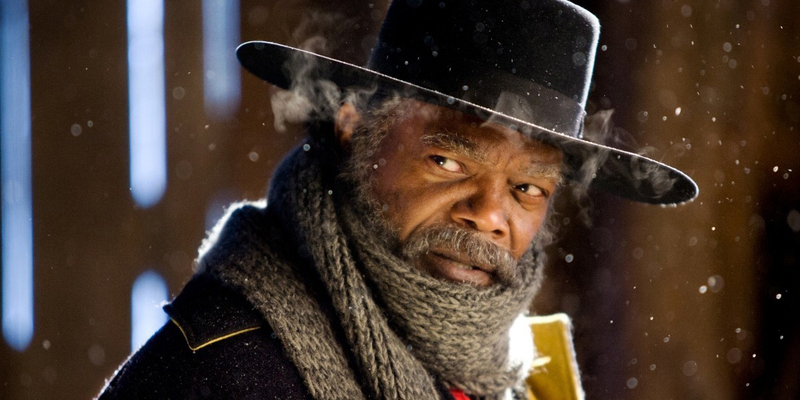 As noted by Collider's Brian Formo, the original draft for The Hateful Eight ended in a bloodier final act - one that left only supposed Red Rock sheriff Chris Mannix (Walton Goggins) alive, whereas Mannix is joined by Major Marquis Warren (Samuel L. Jackson) in the theatrical cut of the film. Tarantino's earlier script draft also allowed every other character, most notably including the uproariously executed Jody Domergue (Channing Tatum), to fire more than few shots at one another before they kicked the bucket. Another key aspect that Tarantino reportedly added to the finished feature production was the inclusion of Daisy Domergue's (Jennifer Jason Leigh) racist slants directed against Warren. Those insults are an attempt on Daisy's part to breed resentment towards Warren, who lied about his letter of personal correspondence from President Abraham Lincoln - and encourage Mannix to let her go and collect the bounties put upon the heads of her fallen brothers in arms. Adding said final plea to the last chapter of the film provides a certain moralizing flavor and thematic catharsis to much of the otherwise excessive violence and depravity that takes place in The Hateful Eight's third act. What's more, the inclusion of such a personally defining reason for Mannix to spare Warren's life, and judiciously shoot Daisy, also allows for the final reading of the Lincoln Letter to become imbued with a certain hope for reconciliation between the dividing line of race in Tarantino's post-Civil War America, and raises the film far beyond mere bloody spectacle. Whether or not fans of Tarantino's larger body of work will find such an ending ultimately satisfying in the grand scheme of things remains a matter of subjective opinion. Even if the entire film might have been rendered more rhetorically coherent (say, if the movie had introduced such a crucial dialogue between the three characters concerned earlier on), the final scene does hold a certain appeal in its climactic reconciliation between the warring parties of the American Civil War - as diagnosed by one of modern cinema's more unique storytelling voices. 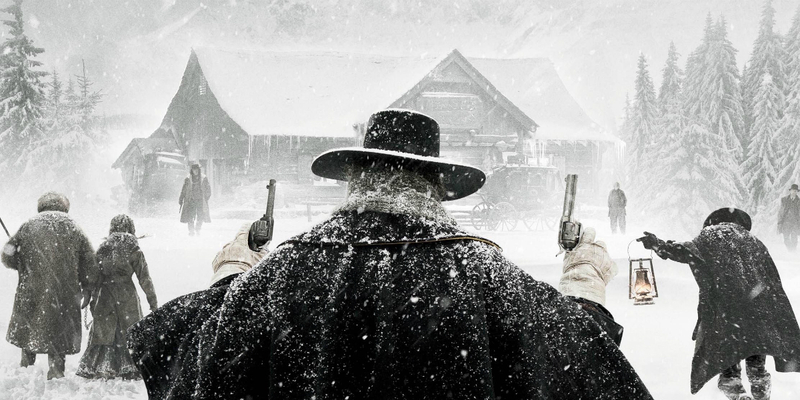 The Hateful Eight is currently being shown in theaters.